Customer must mention the advertisement to the dealer to receive the advertised price. 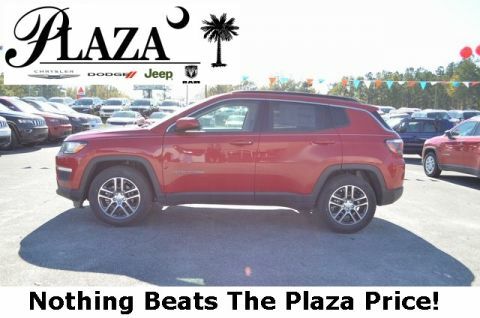 Price includes $449 closing fee and includes all applicable manufacturer incentives including, but not limited to $500 Chrysler Capital Rebate, $1,000 OTJ rebate on Commercial vehicles, up to $1,500 Sub Prime Bonus Cash, and up to $1,000 Conquest/Loyalty on certain vehicles. All customers may not qualify for all incentives. However, the price does not include sales tax, tag, registration, title, or acquisition (Lease Only) fees. All pricing require financing through Ally Bank. Offers, incentives, discounts, or financing are subject to expiration and other restrictions. See dealer for qualifications and complete details. While every reasonable effort is made to ensure the accuracy of this data dealer is NOT responsible for pricing, typographical errors or omissions contained on these pages. Please verify any and all information in question with a dealership sales representative. It is the customer’s sole responsibility to verify the existence and condition of any vehicle listed. No claims, or warranties are made to guarantee the accuracy of vehicle pricing or payments. 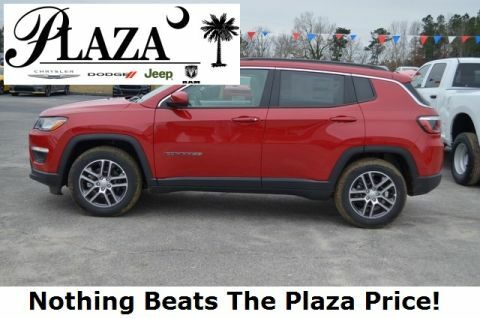 *For Plaza priced NEW vehicles you must have a 2009 or newer trade in, for Diesel Super Duty Offers, a 2012 Or newer Diesel Trade in, and for both offers you must finance with Ally Bank to receive all discounts. Priced below KBB Fair Purchase Price! $6,615 off MSRP! 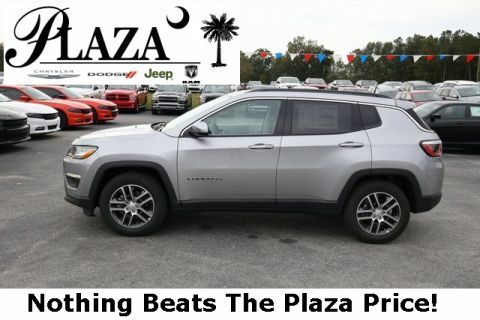 Plaza Chrysler Dodge Jeep Ram of Orangeburg is very proud to offer this handsome 2019 Jeep Compass Latitude In Diamond Black. This vehicle is beautifully equipped with Quick Order Package 28J, 3.502 Axle Ratio, 4-Wheel Disc Brakes, 6 Speakers, ABS brakes, Air Conditioning, AM/FM radio, Anti-whiplash front head restraints, Automatic temperature control, Bluetooth® Streaming Audio, Brake assist, Bumpers: body-color, Compass, Delay-off headlights, Driver door bin, Driver vanity mirror, Dual front impact airbags, Dual front side impact airbags, Electronic Stability Control, Four wheel independent suspension, Front anti-roll bar, Front Bucket Seats, Front Center Armrest w/Storage, Front dual zone A/C, Front fog lights, Front reading lights, Fully automatic headlights, Heated door mirrors, Illuminated entry, Knee airbag, Leather Shift Knob, Low tire pressure warning, Manufacturer's Statement of Origin, Media Hub (USB, AUX), Occupant sensing airbag, Outside temperature display, Overhead airbag, Overhead console, Panic alarm, ParkSense Rear Park Assist System, Passenger door bin, Passenger vanity mirror, Power door mirrors, Power Front/Fixed Rear Full Sunroof, Power steering, Power windows, Premium Cloth/Vinyl Bucket Seats, Radio: Uconnect 4 w/7" Display, Rear anti-roll bar, Rear seat center armrest, Rear window defroster, Rear window wiper, Remote keyless entry, Roof rack: rails only, Speed control, Split folding rear seat, Spoiler, Steering wheel mounted audio controls, Tachometer, Telescoping steering wheel, Tilt steering wheel, Traction control, Trip computer, Variably intermittent wipers, and Wheels: 17" x 7.0" Polished/Granite Pockets Alum!